The Coastal Bend United is pleased to present “Back To Business” Recovery Concert at Whataburger Field on Friday and Saturday, November 2 & 3, 2018 with a carnival November 2, 3 & 4. Live entertainment begins Friday night at 6 p.m. with the Rotel & the Hot Tomatoes; 8 p.m. The Last Bandoleros and 10 p.m. Derek Spence “A George Strait Tribute Band.” Saturday’s live entertainment begins at 6 p.m. with Marcos Orosco y Extremo; 8 p.m. Los Palominos and 10 p.m. La Mafia. Included in the event is Food Truck Alley. Attendees will have a variety of food choices from some of the finest food trucks in the area along with an area for vendors of sorts. Special commemorative T-Shirt will also be available for purchase. 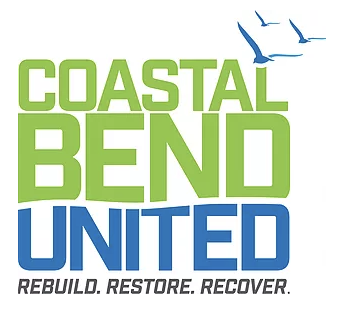 Purchase tickets online at coastalbendunited.com. *Chamber members receive a $5 discount on the ticket options listed above. To purchase Chamber member tickets, call (361) 881-1800 or stop by the Chamber office.